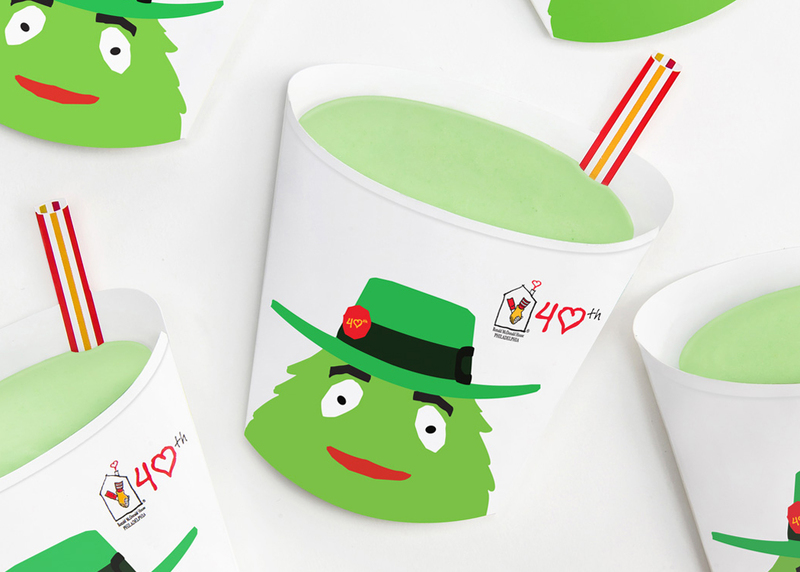 This lovely Shamrock Mint Chocolate was designed to celebrate the 40th anniversary of the first Ronald McDonald House opening back in Philadelphia. 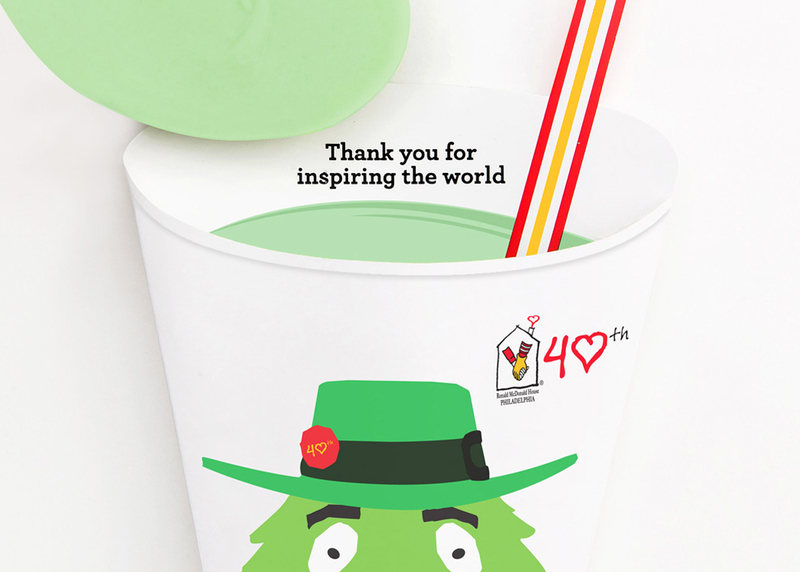 McDonald’s Shamrock Shake helped funded the construction of the first house and has since inspired the building of another 344 Ronald McDonald Houses around the global to date. When families are forced to leave their home for their children’s treatment, Ronald McDonald House provides them with a safe haven to rest in, staffs to support them like a second family, and to provide them truly – a home away from home. 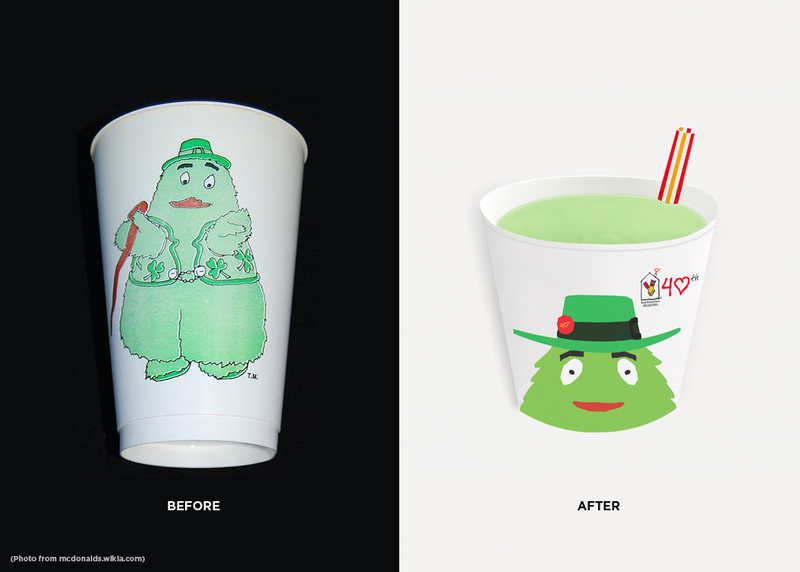 The design of this packaging was inspired from the Uncle O’Grimacey’s Shamrock Shake Campaign in the early 80s. 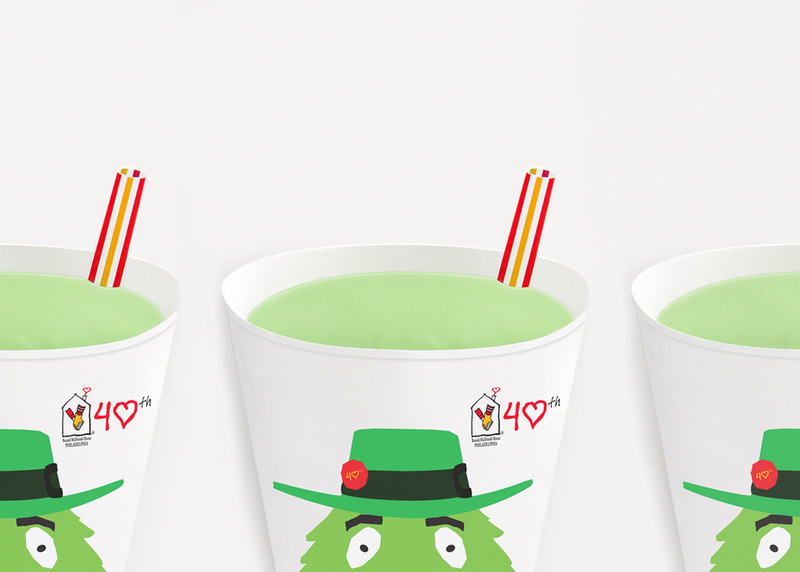 We created the package like a 2D cup with the mint chocolate sitting nicely on top to portrait the likeness of an actual shamrock shake. All the mint chocolate were handmade from the families that stayed at the house. All of Ronald McDonald House’s founders had received the handmade chocolate as gifts during the 40th Anniversary event at Philadelphia back in 2014. In 2015, the handmade Shamrock Mint Chocolate has become part of the “Project Kindness” program at Ronald McDonald House, Northern Alberta. The mint chocolates were still handmade with love from the families who were staying at the house, and it was delivered to all of the donors and volunteers as a small token of gratitude for their past, and continuous support.